The revival of national flag carrier, Air Zimbabwe, is on the cards as Government has resolved to proceed with the acquisition of the four Boeing 777 aircraft from Malaysia valued at $70 million. 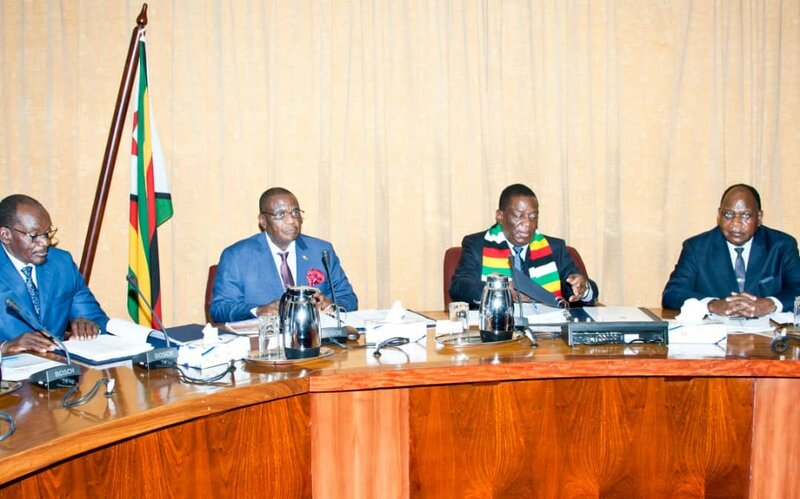 Yesterday, Cabinet also approved the re-bundling of the Zimbabwe Electricity Supply Authority (ZESA) and resolved to merge all the group’s companies into a single integrated company while the Grain Marketing Board (GMB) will be split into two entities, a move that will see the creation of a commercial business entity and another arm responsible for the strategic grain reserve function. All these strategic moves are in sync with the public enterprise reform framework for 2018-2020 under the auspices of the Transitional Stabilisation Plan (TSP). In turn, the TSP, which is a short-term blueprint feeds into President Mnangagwa’s Vision 2030 to transform Zimbabwe into an Upper Middle Income economy. Briefing journalists after yesterday’s Cabinet meeting, Information, Publicity and Broadcasting Services Minister Monica Mutsvangwa said Cabinet also agreed that the delivery of the smaller Embraer aircraft from the United States be worked on expeditiously. “Following a presentation by the Minister of Transport and Infrastructural Development and cognisant of the urgent imperative need to rebuild the national airline Air Zimbabwe Cabinet resolved to proceed post-haste with the acquisition of the four Boeing 777 aircraft from Malaysia and to work on the expeditious delivery of the Embraer aircraft purchased in the United States of America,” she said. The new planes are expected to add impetus to efforts to open Zimbabwe to investment and boost local tourism and trade. The four Boeing 777 planes are expected to service regional and international routes while the Embraer aircraft will be for domestic routes. Transport and Infrastructural Development Minister Joel Biggie Matiza said Government was regularising and completing the $70 million deal. “Cabinet resolved to amend the Electricity Act (Chapter 13:19) in order to cater for the proposed changes in the structure of ZESA,” she said. Zesa has five companies namely Powertel Communications, Zimbabwe Electricity and Transmission Distribution Company (ZETDC), Zimbabwe Power Company (ZPC), Zesa Enterprises (Zent) and Zesa Holdings. Government further set up the Rural Electrification Agency (REA) and the Zimbabwe Regulatory Authority (Zera). The unbundling of the power utility is now blamed for exerting more costs on the company and the tariff, as all executives get huge salaries and perks such as top-of-the-range vehicles. Prof Ncube said Government was on track with its economic reform agenda. “We are implementing a State enterprise reform agenda which will see a better private sector-led economy,” he said. Cabinet also approved principles for the amendment of the Public Order and Security Act (POSA), a development that underscores Government’s commitment to the reform agenda in the Second Republic. Said Minister Mutsvangwa: “Following a presentation by the Minister of Home Affairs and Cultural Heritage of the principles for the amendment of the Public Order and Security Act and the Immigration Act in order to align them with the Zimbabwean Constitution, Cabinet approved the principles, thus paving way for the drafting of the actual Bills,” she said. The amendments will also be in line with the reforms being taken under the Second Republic. Minister Mutsvangwa said the ad-hoc committee set up to assess the level of damage to infrastructure and the quantum of losses incurred by businesspeople during the recent violent demonstrations had presented its interim report. The committee, comprising eight ministries, was tasked to immediately come up with measures to bring relief to affected communities and help businesses to recover. She said Cabinet had approved the urgent disbursement of US$2 million towards the repair of the damaged infrastructure at Parirenyatwa Group of Hospitals. The repairs will be done on the theatre storerooms damaged by fire at the Mbuya Nehanda Maternity Wing. Health and Child Care Minister Dr Obadiah Moyo said the fire was caused by faulty electrical wiring. “I can confirm that there was a fire which started in a storeroom which is adjacent to one of our theatres,” he said.